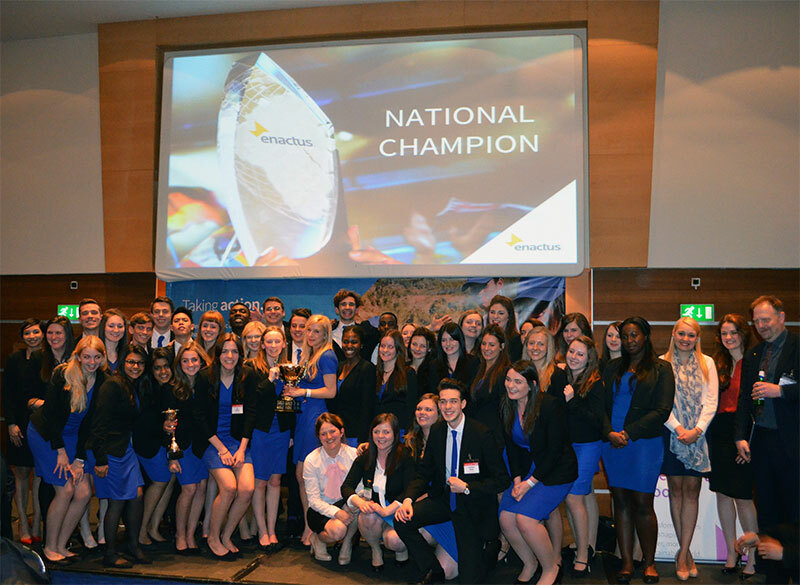 The National Champion teams competing in the upcoming Enactus World Cup in Beijing, China are made up of thousands of inspiring, dedicated students committed to making a difference in their communities and around the world through the power of entrepreneurial action. Let’s meet the teams and find out how they are preparing for this exciting event. The Meet the Teams series will be updated daily leading up to the World Cup. 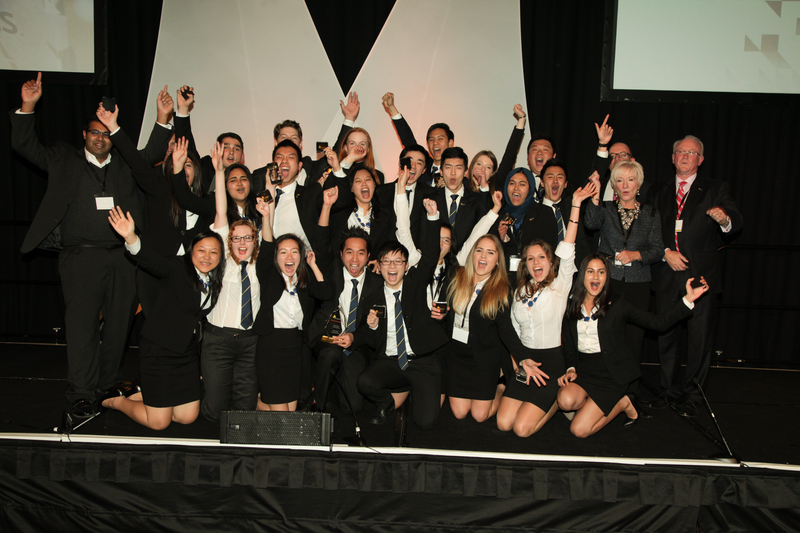 For the Enactus team at the University of Sydney, winning their first national championship and earning the right to represent their country at the Enactus World Cup is a fitting conclusion to an incredible year that saw them impact more than 550,000 individuals. Although they’ve never been to the event, they have heard the World Cup experience described as life changing, and all 24 students attending are working hard to perfect their presentation and prepare for possible questions from the judges. They are most excited to present their Culinary Tails project, which focuses on training, encouraging and equipping recently arrived refugees who have a passion for food to deliver cooking classes to small groups. The simple concept of sharing experiences while learning and eating together has seen impressive growth, and the course is now offered twice a week but booked out several months in advance. Most rewarding, it is providing an income for the participating cooking teachers, many of whom are also receiving requests for in-home catering. One of the proudest moments for the national champion team from Azerbaijan last year was when they were standing on stage at the national competition and their name was announced – as they looked out at the crowd made up of students who share their passion and judges who support their work, they were reminded of how their projects from the past year have made a significant difference in the lives of people in their community and how collectively the actions of Enactus students truly have the potential to make the world a better place. To prepare for competition in Beijing, they are working hard on their presentation with the goal of having the best showing possible. The team is most excited about sharing their Royal Jelly project, which helps beekeepers in Nakhchivan increase their income stream by adding royal jelly production to their product lines, a natural derivative of honey production with curative properties that is in high-demand. 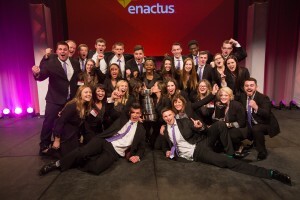 The team is also looking forward to sharing their own history, culture and entrepreneurial spirit with Enactus teams from all over the world, and taking advantage of the many opportunities to connect, collaborate and learn from one another. While the draw of the competition and opportunity to be world champion is strong, many of our teams are most excited to showcase their country to the global network. The Brazil National Champion team from Federal Center for Technological Education Celso Suckow da Fonseca is no exception: they hope to share with the world the determination of the Brazilian people and the richness of their culture. In preparation, they have translated their presentation to English and are practicing day and night to have the best showing possible. That presentation will include their project Rede Alternative, which helped an entire community of families be more successful. Local fishermen were lacking customers and therefore selling their catch at lower prices without profit; and the fishermen’s wives were unable to find meaningful work to augment the family income. The team partnered with Walmart to open a restaurant where the women could work, increasing their earnings tenfold, while purchasing product from the fishermen and increasing their profit. For the 35 students involved with the team from North China Electric Power University, representing China in the World Cup has extra significance: not only do they have the chance to share their impressive accomplishments on a global stage, but they have the rare opportunity to act as ambassadors to the world, welcoming thousands of students, faculty members and executives to their home city and country. Since July, the team has set up road shows to share their presentation and receive feedback, as well as consulting with alumni and executives on ideas for improvement. They are feeling confident in their presentation and are excited to share their work addressing energy issues, finding solutions for areas without electricity through the development of a wind and solar hybrid energy system. More important, however, is their anticipation of sharing these ideas with other students around the world in hopes of not only improving their own work but potentially inspiring others. This is the magic of World Cup. 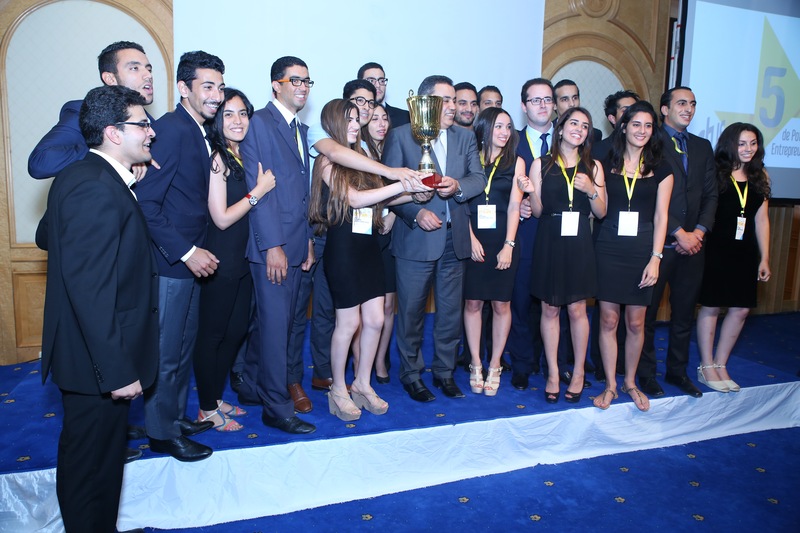 The Enactus team at French University in Egypt (UFE) is no stranger to the World Cup: this will be the fifth time the school has represented their country at the event. After their first appearance in 2008, they were named the World Cup champions in 2009 in Berlin and again in Los Angeles in 2010, and they finished second overall in Washington, DC in 2012. With this impressive history, they are working hard to prepare for Beijing, hopeful to repeat their past successes. They are making improvements to their presentation and practicing regularly to ensure the best performance possible. As they look forward to the competition, they are excited to share the story of their Bee Different project, where they designed new hardware to increase efficiency, as well as help beekeepers in El Fayoum Governorate take a holistic view of their businesses. 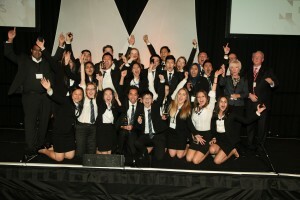 After a year that saw the 130 students involved give 33,500 volunteer hours and directly impact 250 individuals, the team has a lot to celebrate, and they are looking forward to doing it with thousands of other students who share their passion for entrepreneurial action from around the world. 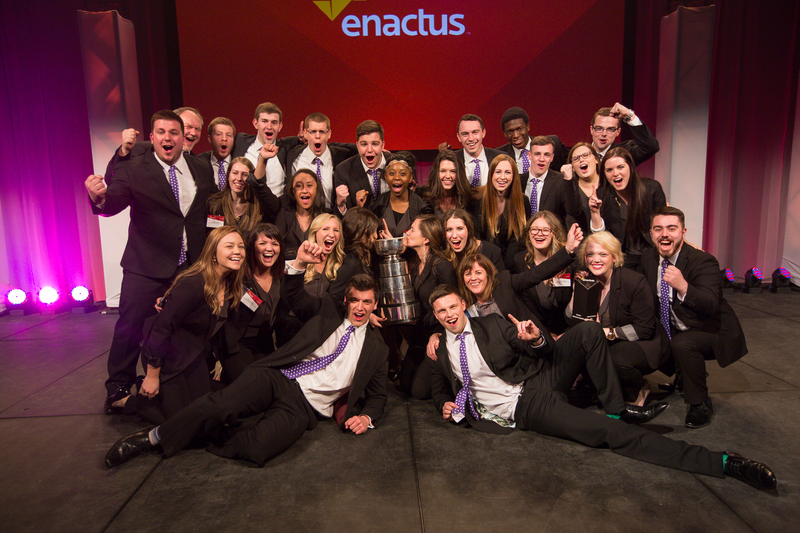 Although the 140 students involved with the Enactus team at IÉSEG School of Management directly impacted 1,022 people this year, their proudest moment was the impact they had on one. Through their IAM India project, they were able to help a young girl from a village where no one has a post-secondary education, attend a university of Bangladesh. This helped them realize the potential their actions can have to not just improve today but also to positively affect future generations. As they prepare for the World Cup competition, they are working hard to develop the best presentation possible as well as holding practice sessions for the presentation team members. They are looking forward to sharing details of their Clic&Pass project, a new initiative that leverages technology to provide tutoring services for French speaking middle school students from around the world in an innovative way. As the team enjoys their first days in Beijing, they are excited about meeting other teams, learning about other cultures, and exploring new ideas. 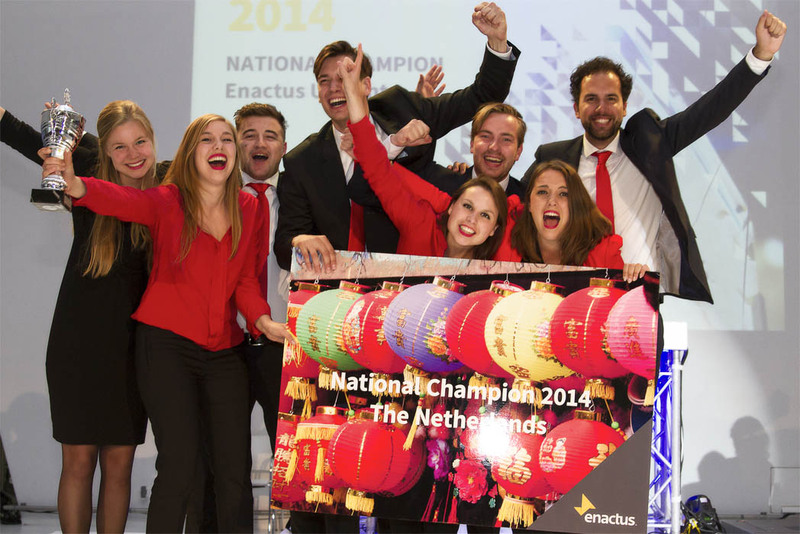 The road to Beijing…that has been the focus of the Enactus team from the University of Mannheim all summer. 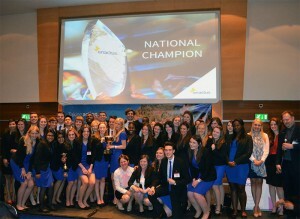 Since winning the national championship in June, the team has been committed to perfecting their presentation and deepening their community impact, and they have been fortunate to have the support of their business and faculty advisors along the way. After directly impacting over 1,550 people this past year, they are excited to present their portfolio of projects to judges around the world, especially their Sunté project. Through this initiative, they provided health stations in rural Togo with solar panels, which allowed them to offer improved treatment options at night. The health stations also use the solar energy to run a charging station for cell phones, which draws people to the stations and connects them with medical staff so they can be educated about important health topics. Learning that residents were using the charging stations and taking advantage of the health education program was the team’s proudest moment from the past year. As they complete their final preparations for China, the team is excited to meet people from all over the world who share their enthusiasm for making a difference, and they can’t wait to experience the Enactus spirit first hand. After investing more than 9,000 hours in their projects this past year, the Enactus team from the University of Ghana is working hard to prepare for World Cup, focusing on fund raising and rehearsing their presentation. Although their school has participated in the World Cup before, it hasn’t been for many years and the team was incredibly proud when they earned the National Champion title this year. They are looking forward to presenting their three projects to the judges, including Cocoapays, which connects local cocoa farmers with valuable resources and teaches them best farming practices. In addition, they are excited by the idea that sharing their work and interacting with teams from around the world at the event will broaden their world view and inspire them to develop new innovative initiatives that will make a difference in their community. 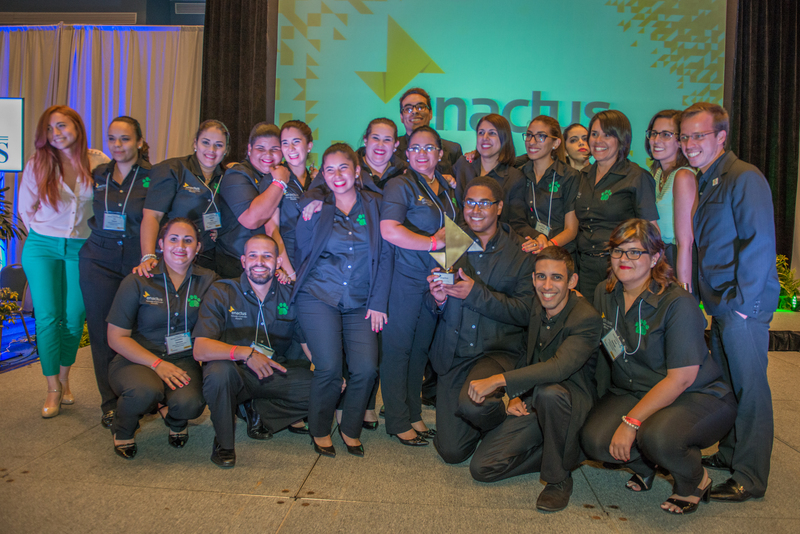 Over the past year, the 50 students involved with the national champion Enactus team at the University of the Valley of Guatemala, South Campus invested 4,700 volunteer hours in their portfolio of projects, and they are now preparing to present their work at the Enactus World Cup. Their presentation will include their Smart Farm project, where they developed an innovative agricultural model to capitalize on available resources, create new products, and help participating farmers be better prepared for market; and their CAP project, where they created a system to collect and purify rainwater that is provided to people who don’t have access to clean water. Realizing that they are now not only representing their school but their country as well, they are committed to preparing for competition by holding showcase events for board members and donors to receive valuable feedback on their presentation. As they look ahead to Beijing, the team is most excited about learning from other teams as well as showing the world class work being done in Guatemala. 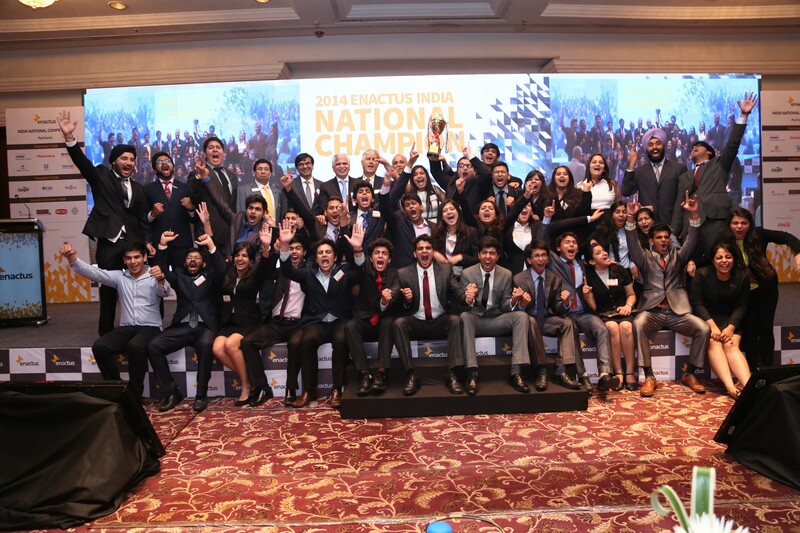 The Enactus India National Champion team from Shaheed Sukhdev College of Business Studies has high expectations for Beijing: they are hoping for a once in a lifetime experience, with the chance to interact with students and executives from around the world. In preparation for the competition, they are focusing on their presentation: after building a plan to strengthen their projects, they set up showcase sessions with donors and alumni to receive valuable feedback on the presentation itself as well as how they handled the question and answer portion. They also underwent presentation skills training to help them convey their message with ease and clarity. In a year where the team gave over 37,000 volunteer hours and improved the lives of 114 people, the team’s proudest moment came when the Government of India implemented their Sanitation Solutions project in 23 districts, which ensures the use of hygienic sanitary napkins by women in villages across India while providing them with a sustained means of livelihood. The team is most excited to share Project Akshar, which empowers the physically disabled and victims of drug abuse to be entrepreneurs by producing and selling eco-friendly notebooks. This has been a passion for the team this year, and its strong framework has resulted in numerous partnership requests from other organizations. Over the past year, the focus of the Enactus team at University College Dublin has been on their Generation Accommodation initiative and they are excited to share this project with the world at next week’s World Cup. Generation Accommodation aims to bridge the generational gap by pairing socially responsible students who need somewhere to live with senior members of the community who want to rent out space in their homes and earn additional income. Different from your typical rental agency, the project employs a unique matching process that facilitates a seamless process to take the needs of all participants into account. 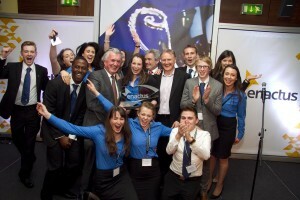 Impacting the lives of 24 people this past year is the team’s proudest moment, and with the positive reaction to the pilot program – including an upcoming documentary about the team by RTÉ, Ireland’s largest TV broadcaster – they look forward to the growth of the project, including the potential to partner with other teams to develop similar initiatives in other countries. 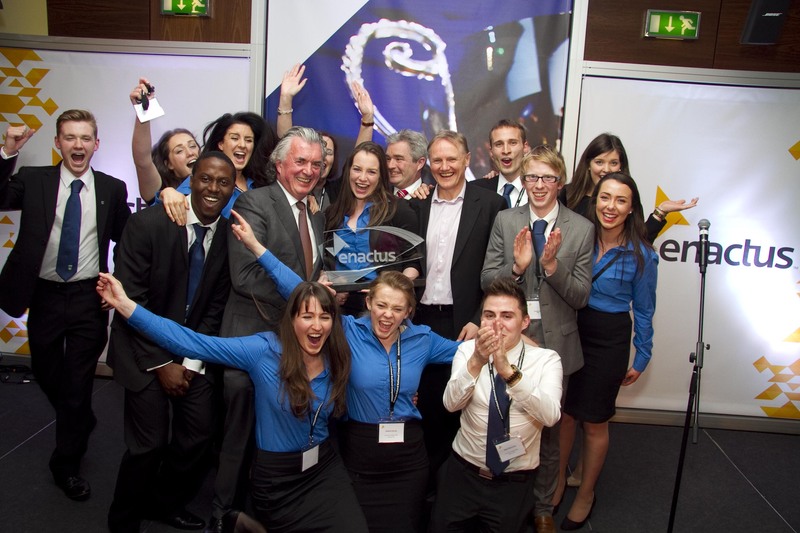 To prepare for their first World Cup appearance, the team is working night and day, presenting to the Enactus Ireland Board of Directors and at a Chinese Business Exchange, and putting on a showcase event for university staff, students, friends and family. 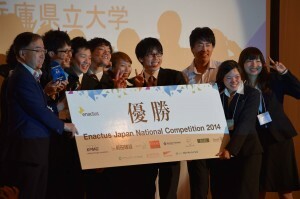 This will be the first Enactus World Cup appearance for the team from the University of Hyogo and they couldn’t be more excited. They are working hard to prepare the best presentation possible for the competition, investing time in project improvements and holding practice sessions on a regular basis. They are excited to share with the world their work to conserve native seeds and vegetables: farmers in Hyogo were turning to non-native seeds and produce to increase their income so the team saw an opportunity to get involved and not only help the farmers earn a better wage but also to impact local agriculture. They partnered with a local preservation society and government office to educate the farmers, as well as starting a café that served and promoted native vegetables. To make a long-term difference, they also worked with local elementary school students, showing them how to grow and prepare the produce, while also sharing recipes on SNS. As a result, farmers felt more confident and motivated to grow native produce, and the community was informed of the benefits of buying and consuming local fruits and vegetables. 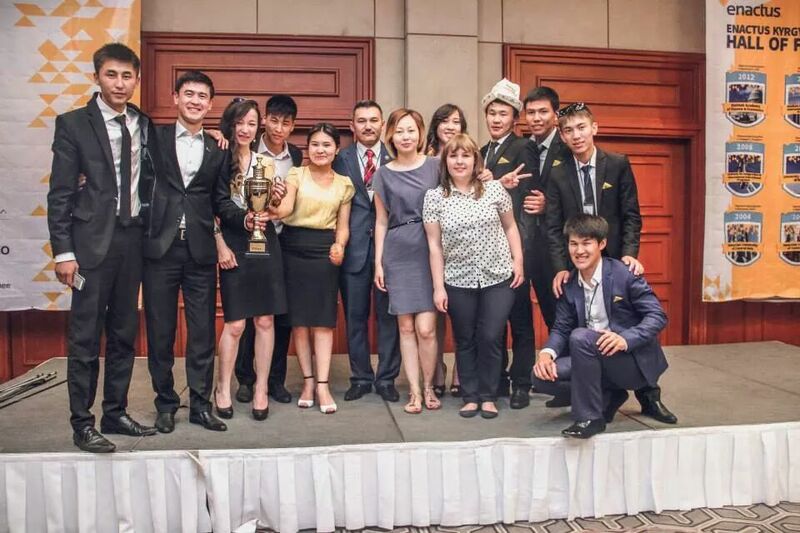 Although there were many highlights for the 22 students involved with the Enactus team at Kazakh National Agrarian University, their proudest moment of the past year came at their national competition, when they were named the national champion. The win, the first for the team, was recognition of the more than 5,100 volunteer hours they had given, including their work on Project Hope, which provides resources and training for newly-released prisoners. 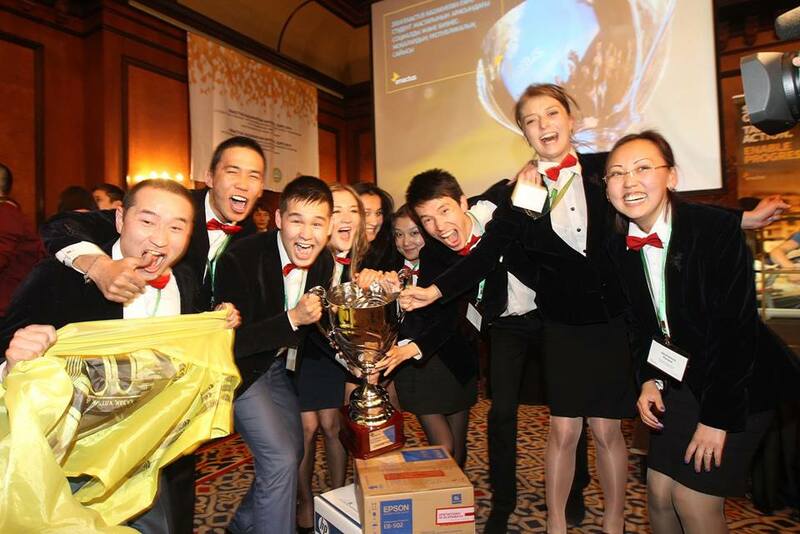 They have now set their sights on Beijing, eager to represent their country and share the culture of Kazakhstan with the rest of the Enactus network. They are meeting nearly every day to practice and prepare, and look forward to being a part of an event where they will have the chance to meet like minded individuals and share dreams and ideas for the future. In preparation for competition, the team from Kabarak University in Kenya has carefully reviewed the judges’ comments from the National Competition and made many improvements to both their presentation and annual report. 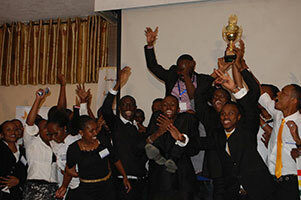 They are most excited about presenting their Uripest project, where the team developed an alternative to chemical-based pesticide to tackle the spread of maize lethal necrosis disease and the resultant low yields in maize production. After detailed research and numerous experiments, the success of the Uripest pesticide, made from locally sourced, natural products, is by far their proudest moment from the year as it impacted 150 people and has the potential to significantly impact the lives of so many for years to come. In their third World Cup appearance, the team is looking forward to meeting new people, interacting with people from different cultures and exchanging ideas. 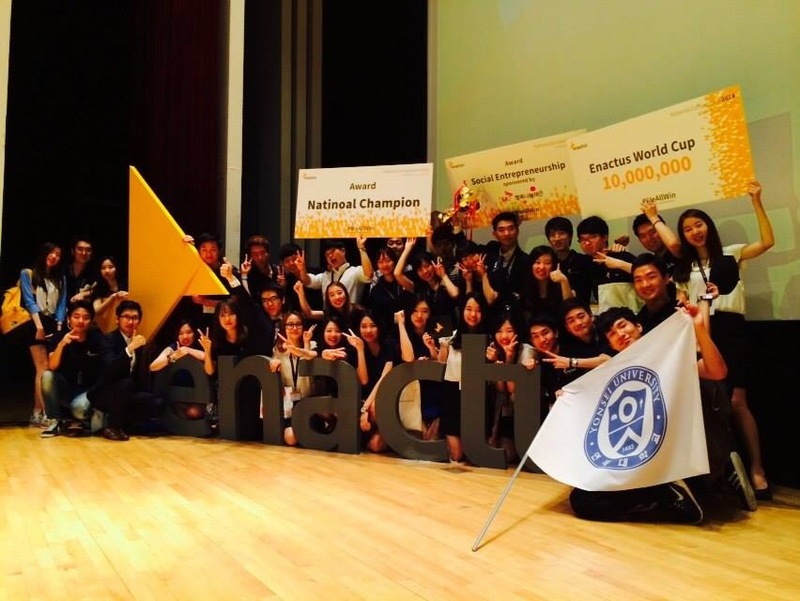 As they prepare for their fourth Enactus World Cup appearance, the team from Yonsei University is meeting every day to revise their script and practice their presentation. They have also set up a number of rehearsal sessions with diverse audiences to ensure they get the most helpful feedback possible. One of the projects they are excited to present is DNBN, which worked with local bakeries to address challenges created by governmental regulations. The team connected 10 bakeries to form a cooperative so they could better manage the issues faced by small and medium sized businesses. This included shared marketing efforts, increased buying power for materials, and joint research and development opportunities. Not only did the initiative reduce the number of hours the owners had to work but it increased their income as well. 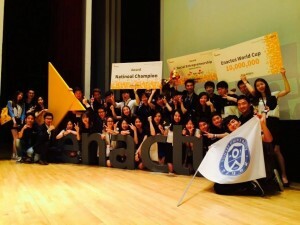 As they get ready to leave for Beijing, the team is optimistic about the competition and looking forward to sharing their projects that tackle unique problems in Korea with the world. At the same time, they are excited to learn about and be inspired by the projects being done by teams around the world. In a year filled with many proud moments, perhaps the most memorable for the Enactus team at Osh State University was to see the impact they had on the students involved in their Ecotra$h project. The participants were trained on basic business skills, then challenged to collect paper waste from local businesses to be recycled into napkins and toilet paper. The students were able to use the money they made in the process to buy computers for their school, making a profound difference in not just their lives but the lives of their peers. 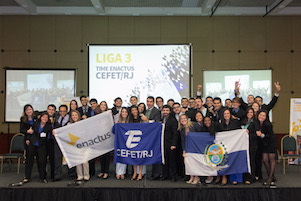 As they prepare for their first Enactus World Cup showing, the team is filled with both excitement and nervousness, knowing they are carrying the weight of the country on their shoulders. The students are taking it very seriously, with an extensive review of their projects and presentation and daily practice sessions. One student even came to a meeting on her wedding day, evidence of the team’s commitment to their work and spirit for the mission. 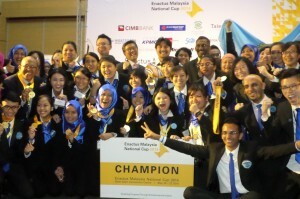 Three years ago, the Enactus team from University Utara Malaysia set a goal for themselves: to win the national champion title. In May of this year, they reached that goal after contributing over 20,000 volunteer hours and helping to develop 47 entrepreneurs. Hearing their name announced as the champion was the team’s proudest moment of the year, and they have been working diligently over the past five months to take the judges’ feedback and incorporate it to improve both their presentation and their projects. Projects like Back2Bag, which works with disabled people to address the social isolation they face, while empowering them to generate their own income. When asked about the World Cup experience, the team is excited to participate in the Parade of Nations during the Opening Ceremonies and proudly wave the Malaysian flag. 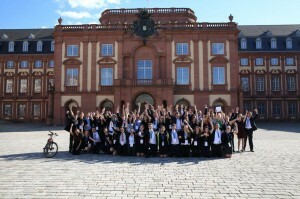 They are also looking forward to meeting passionate students from around the world, sharing ideas and being inspired. 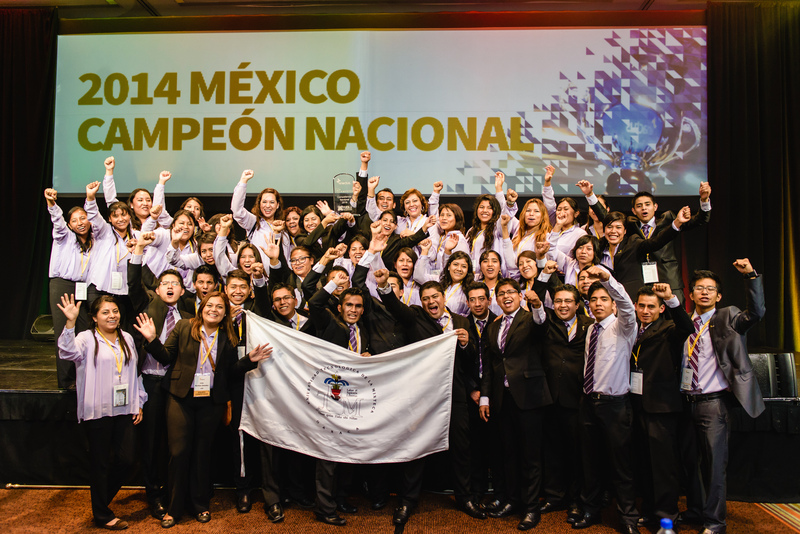 For the 54 students involved with the Enactus team at Technological University of the Mixteca (UTM), representing Mexico in the upcoming Enactus World Cup is something they are taking very seriously. They have worked closely with country leaders as well as supporters at KPMG to improve their script, perfect their presentation, and practice the question and answer session, all to ensure they have the best showing possible. They are proud of the work they have done over the past year, giving 5,000 volunteer hours and directly impacting 141 people through their seven projects. They are most excited to present their Kuili project, which addressed environmental issues with an open municipal trash dump by relocating it to a healthier site, and transforming the old location into an ecological park. This will be the third showing at the World Cup for Enactus UTM and they are looking forward to sharing their work with students from around the world, while learning from the projects being done in other countries. 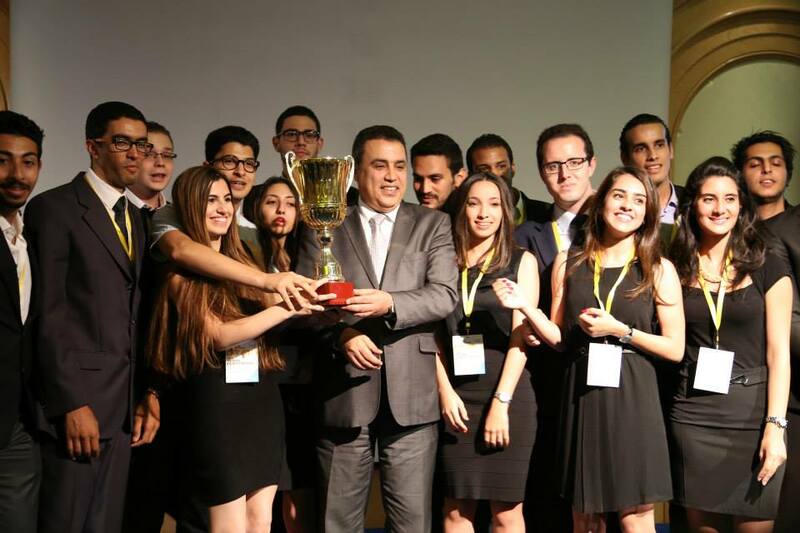 The Enactus team at Mohammadia School of Engineers understands that what earned them the chance to represent Morocco at the World Cup is their strength as a team…and that is what they are focusing on as they prepare to compete in Beijing. Over the past year, the 50 students involved invested 23,000 volunteer hours to directly impact 116 people through their seven projects. Now they have turned their attention to each other, making sure they are being supportive and cohesive so they can have the best showing possible at the World Cup. They are tremendously proud of the impact they had this year and for being recognized for their work by being named the country’s National Champion. One example is their Access Water project, which addresses the challenge of clean drinking water accessibility by delivering water purification systems. 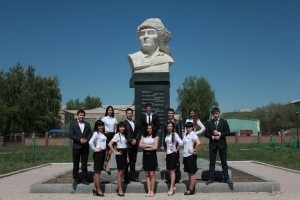 In the school’s second World Cup appearance, the team is eager to share the richness of their culture and their entrepreneurial spirit with the rest of the network. In return, they look forward to gaining valuable knowledge from the other students and judges to help develop their future work. 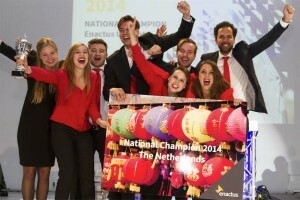 As they prepare to represent the Netherlands in next week’s Enactus World Cup, the national champion team from Utrecht University is most excited to present their Safe Kitchen project, which provides refugee women with the opportunity to work for their catering company, allowing them to learn the Dutch language while teaching them valuable business skills. The project harnesses the passion the participants already have for the food from their home country while giving them a chance to be self-sufficient in their new one. This is but one of the eight projects the team executed over the past year, resulting in a total of 13,300 volunteer hours. The team feels grateful and privileged to have the unique opportunity to attend the World Cup and showcase their work on a global stage, and they are especially excited to do it together as they have bonded as a team this year and enjoy every moment they invest to make their community and their country a better place. 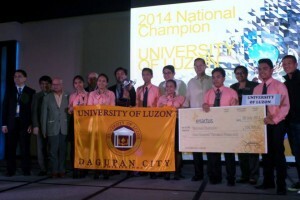 For the Enactus team at the University of Luzon, their proudest moment from the past year came as a result of their SAVE project, which provided a unique technology called aquaponics to people who used to make a living as fish pen operators. When the government changed their policy on this type of fishing, many individuals lost their ability to make a living so the team developed a technology that blended aquaculture and hydroponics to eliminate the environmental hazards. Knowing that their work empowered the people involved and enabled them to care for their families was deeply rewarding. 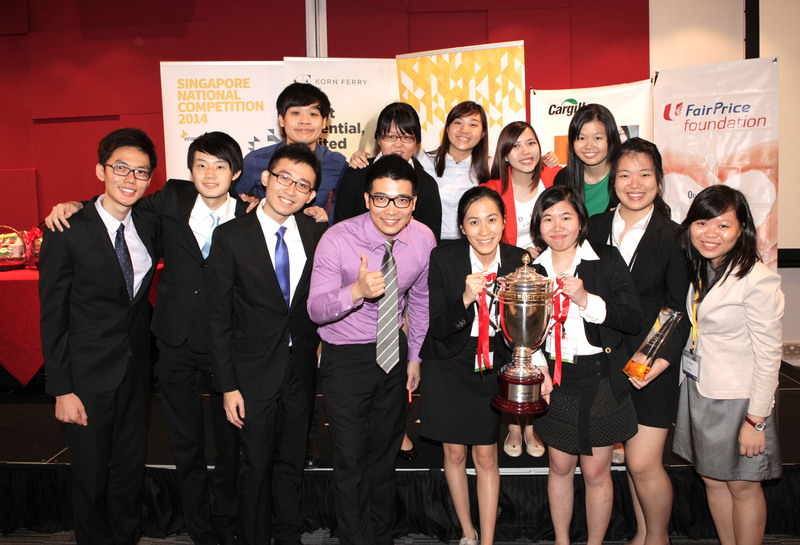 They will be presenting this and their two other core initiatives in Beijing, and have been working diligently to incorporate the feedback they received from judges at their National Competition to improve their presentation. They have also been reviewing past World Cup presentations and researching social entrepreneurship trends to find the best practices that will take their presentation to the next level. 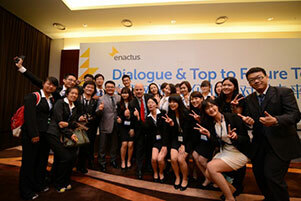 As they get ready to leave for Beijing, the team is excited to share their accomplishments and ideas with other Enactus teams, while learning about best practices. They are also looking forward to the Culture Fair and the opportunity to showcase the rich Philippine heritage to the rest of the world. Many of you have likely already been inspired by the project the Enactus team from the University of Gdańsk is most excited to present: their SLOW (Second Life of Waste) project was recently featured in our #seeopportunity campaign. In this innovative initiative, plastic water bottles, which would otherwise be discarded, are turned into fabric and used to make quilts and pillows for under equipped homeless shelters. More than 400 students participated in four recycling drives over the past year that brought in over 25,000 bottles. To date, 200 quilts with a market value of $1,875 have been manufactured and distributed. The team is hard at work preparing for the competition and just last week participated in a showcase event organized by one of Enactus Poland’s most generous sponsors, PKO Bank of Poland. During the event, the students gave their presentation to bank employees, gaining valuable experience and feedback while engaging in a unique networking opportunity. This will be the team’s 12th World Cup appearance, the most of any school competing at this year’s event. To prepare for the World Cup in Beijing, our team from Puerto Rico has spent hours working on their presentation and having practice question and answer sessions with their board members. But they have also been taking the time to learn about the history and culture of China and some of the other participating countries, to ensure they are prepared to take full advantage of this unique opportunity. The chance to meet other students from around the world and take part in a meaningful exchange will be a highlight for them. 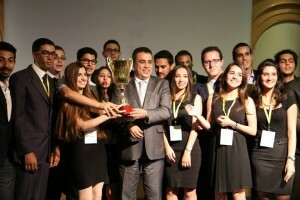 Although they have had many successes this year, they are most excited to present their Limitless project in the competition, a program that connects visually impaired people with suitable training and job opportunities. This year they opened a company that provides more than 20 jobs to legally blind individuals, which gained them recognition and support from the government. Working with this target audience has been inspirational, reminding them that human potential truly is limitless. 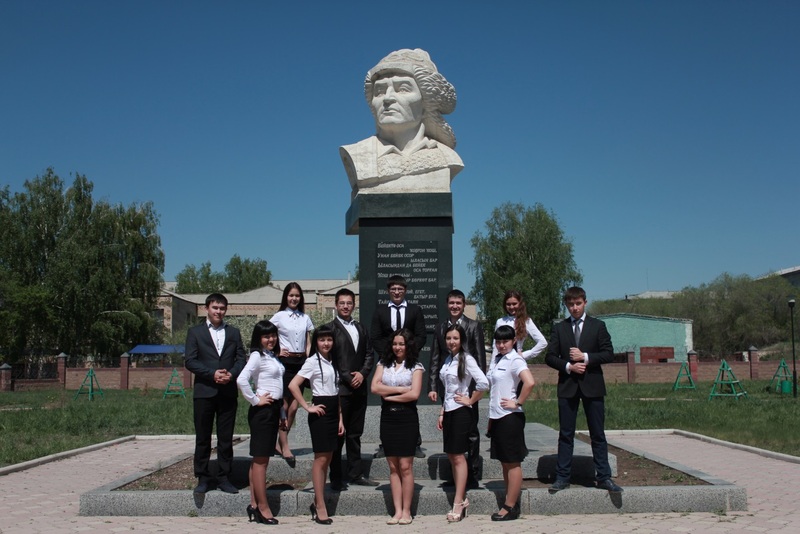 For the Enactus team from Sibay Institute of Bashkir State University, winning the national championship and being recognized for the impact they’ve had in their small town is something they are very proud of. 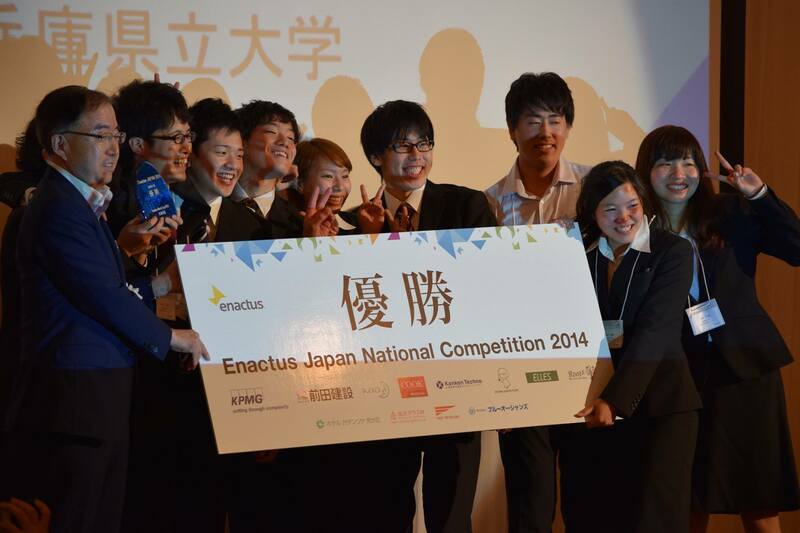 Representing their country in the Enactus World Cup is an honor and a responsibility that they are taking seriously. To prepare, they have translated their annual report and presentation to English, and are taking language classes and undergoing presentation training to ensure they feel confident with the script and are able to communicate clearly and concisely. They are most excited to share their Super Happy Mom project, which empowers young mothers on maternity leave to harness their creative talents and earn an additional income, while also connecting with other mothers for valuable networking. The team brought more than 1,200 women together for a series of creative classes to spark ideas, and then followed up with training specific to their business idea. As they think about their World Cup experience, they are most excited to receive feedback from the panel of global business leaders serving as judges, which they will use to guide their future plans and make improvements to existing projects. When the Enactus team from Nanyang Technological University heard their name announced as the Singapore National Champions this past June, it was an amazing experience and their proudest moment of the year. Their months of hard work had paid off and they had earned the right to represent their country in Beijing at the Enactus World Cup. Since then, they have been meeting for at least eight hours each week to review their script, practice their presentation, and discuss ideas. They describe the preparation process as both intense and exciting, and they are looking forward to the opportunity to test their limits on a global stage while sharing the impact of their projects. They are especially excited to share the results of their Gourmet Guru project, which empowered low income homemakers to leverage their culinary expertise to earn extra income. The team is counting down the days until they arrive in Beijing and have the chance to meet like-minded Enactus members from around the world, while learning from and being inspired by the work of the other national champion teams. 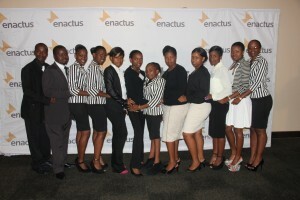 After three years of making it to the final round of the Enactus South Africa National Competition but failing to win the title, the team from the University of Fort Hare decided that this would be the year. The 182 students involved worked harder than ever, giving nearly 13,000 volunteer hours and directly impacting 121 individuals. 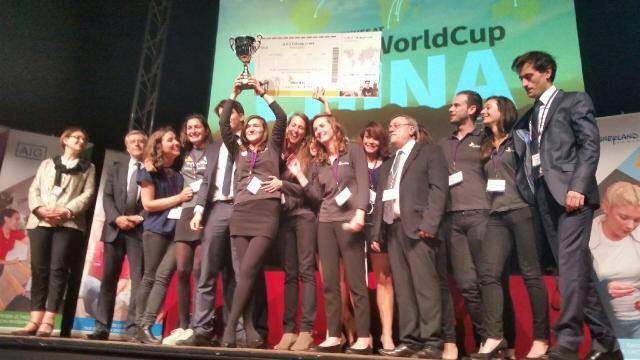 Their effort paid off, earning them their first Enactus World Cup appearance. They are most excited to present their Biogas project, which addresses electricity shortages in disadvantaged communities by providing an alternative energy source. This year they worked with a day care center and a number of households to provide them with a less expensive, cleaner and renewable energy source, with the goal of replicating their success in 56 identified villages in their home province. 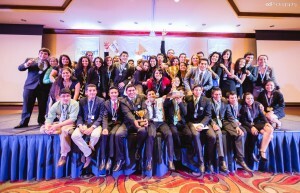 As they set their sights on Beijing, the team is excited to represent their country on a global stage, showcasing what they’ve done to improve communities, while meeting other students and business leaders from all over the world to exchange ideas, learn about other cultures, and create an unforgettable experience. For the 60 students involved with the Enactus team at Southern Africa Nazarene University, their proudest moment from the past year was helping a student living with disabilities find her voice and the courage to stand up and advocate on behalf of people living with disabilities country-wide. This life changing event was the result of their Octopus Project, which trained 52 people living with disabilities about basic business concepts, leadership, and project management while addressing self-esteem issues through motivational sessions. It is this project that the team is most excited to present at the Enactus World Cup as they proudly represent Swaziland in the global competition. To prepare, they have been holding mock presentations with supportive business executives who have given helpful feedback on how to improve their performance. In Beijing, they are looking forward to interacting directly with business leaders during the Top to Future-Top sessions, and sharing best practices with students from around the world. 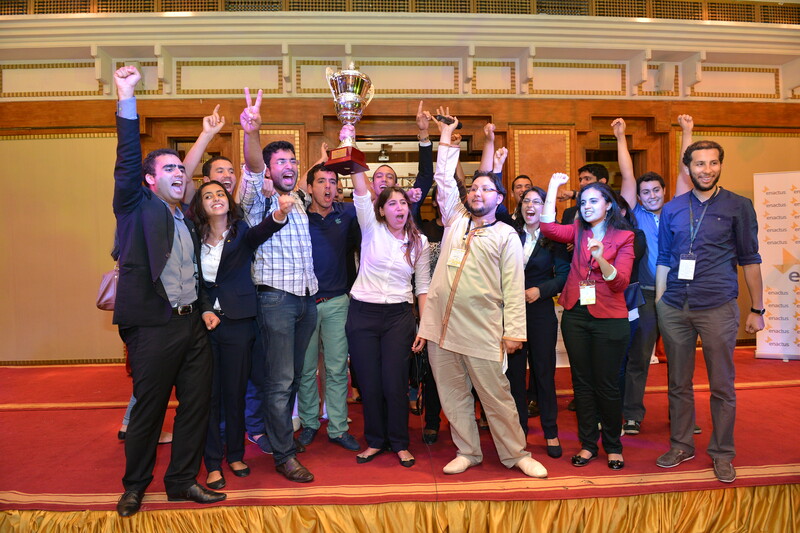 As they prepare to leave for Beijing, the National Champion team representing Tajikistan is excited to share their work and the impact they’ve had with the world. One example is their Handicraft project, a business training program that helped local craftsmen realize their dream of continuing the work of their ancestors while creating a sustainable, profitable business. Training topics included basic market economy and business concepts, ideas for expanding product offerings, and information on developing a website and catalogue to increase awareness and sales. They also connected the participants with 12 trade agents who can help expand the individual businesses. Overall, 130 people benefited from the initiative, and the team plans to build on the project next year with a craft exhibition. They are looking forward to showcasing their culture in the Culture Fair, always a highlight of the World Cup, as well and meeting and sharing ideas with students from around the world. 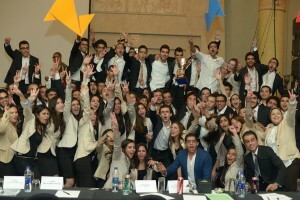 The challenge and excitement that comes with competition can be overwhelming for some people, but not for the Enactus students at the Institute of Higher Commercial Studies of Carthage. They are motivated and energized by competition, a factor that helped them win their first national championship this past June. 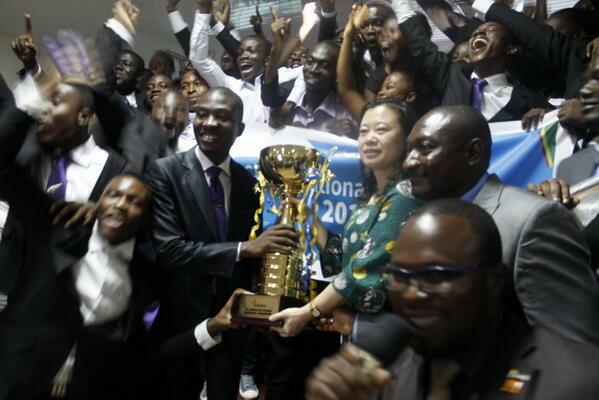 As they set their sights on the Enactus World Cup in Beijing, this quality is helping them prepare to compete against the top universities from around the world. They are excited to present their impressive portfolio of projects to judges, including their Al Baraka project, an agricultural development that trained 33 women in rural Tbainia to distill aromatic plants to extract natural and organic essential oils. They are working closely with country leaders to improve their projects and perfect their presentation, and are hopeful that they will make it to the main stage in their first Enactus World Cup appearance. They are also looking forward to connecting with international business leaders and students from around the world to share ideas and build relationships. The work done by Enactus teams in the Ukraine this year is a poignant reminder of the power of entrepreneurial action and the opportunity we all have to make a difference. 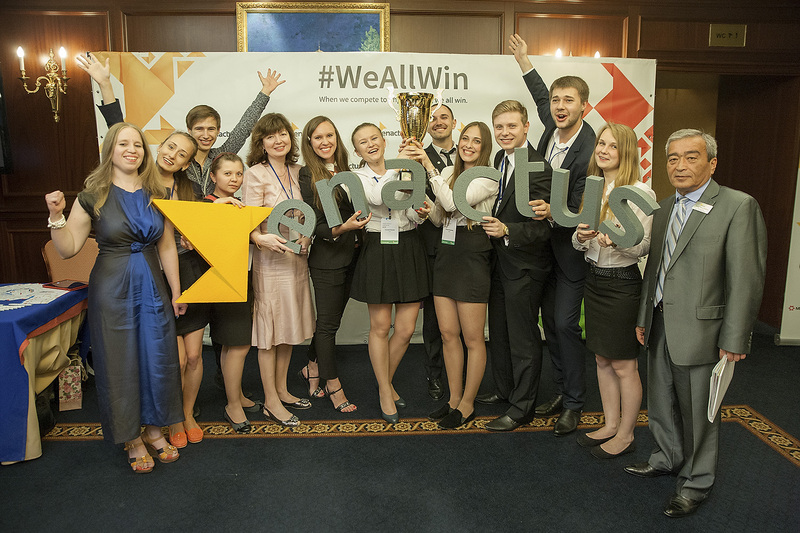 The national champion team from Kyiv National Economic University named after Vadym Hetman chose to address the challenges they saw head on and as a result, made significant impacts in their community. One example is their iLearn project, which used Skype to prepare middle-school students in Eastern Ukraine for university entry. This part of the country has suffered from hostilities this past year, making it difficult for the students to attend classes and prepare for the entry exam that if passed, allows them to attend university for free. 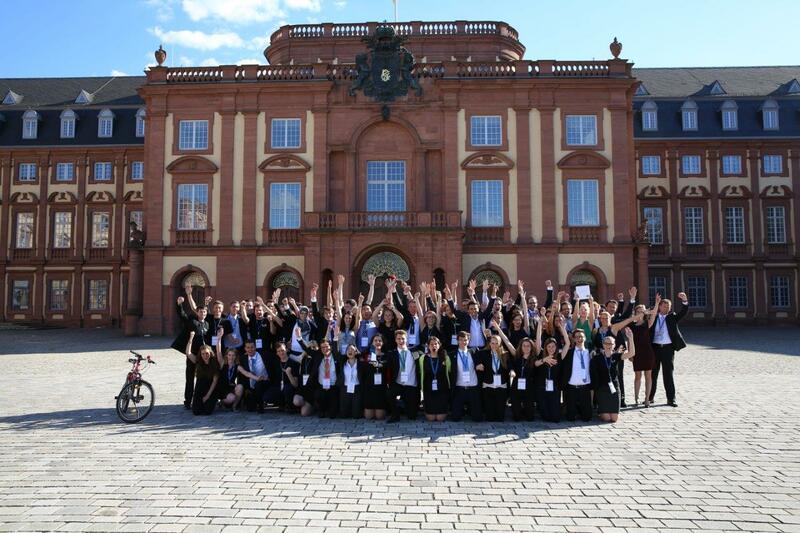 After the online course led by the team, 540 students passed the exam and are now applying for university. The small but mighty Ukrainian delegation is eager to travel to Beijing to share their work with the world, while meeting like-minded passionate individuals. 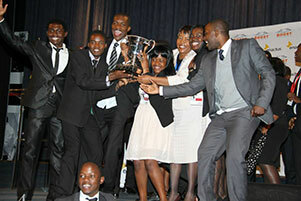 After qualifying for the semi-final round of competition at World Cup 2013 in Mexico, the team from the University of Zimbabwe is hoping to make it to the final stage in Beijing. To reach that goal, the team has been hard at work with country leaders, alumni and their dedicated business advisory board members, who are offering presentation feedback as well as financial and technical support. They are excited to tell the story of how they have impacted nearly 1,300 people this year, as well as learn how other teams have made a difference. Although their goal is winning, they look forward to receiving the meaningful feedback that comes from presenting to a global audience, which they will use to expand their projects, including AGRILINK, which addresses key issues affecting Zimbabwe including food insecurity, youth unemployment and the need for renewable energy.